Bullying: Yes, it’s real, and yes, you have ultimate power over bullies. In the past couple days, in the course of my reading on Professional Nursing Development & other healthcare related topics, I’ve also read about forgiveness. Nurse bullying is a real thing. It’s tragic, of course, that it exists, but it does exist, and is probably more common than some imagine. So we’ve moved from forgiveness to bullying, eh? Bullying is never acceptable behavior. Bullying, of course, is threatening and intimidating behavior used as a manipulative technique by someone who wants to force themselves, their ways, or opinions, on another person. And because Nursing is an exceedingly Female-dominated profession, that means that for the most part, Females are the ones doing bullying in Nurse bullying cases & scenarios. And to be certain, bullying can occur in any human relationship, personal or business-to-business – it isn’t limited to the schoolyard. Here’s where the forgiveness part comes in handy. To be certain, there’s plenty of misunderstanding about what exactly Nurses do, and who exactly Nurses are. 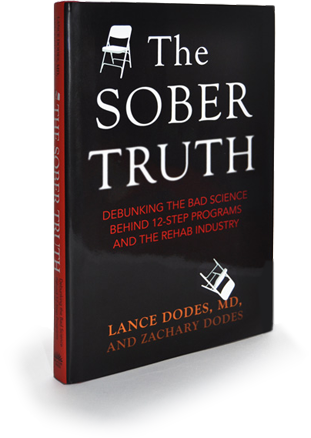 So, to clear the air, let’s set the record straight, and get a quick backgrounder before diving into the deep end. In whatever state they choose to practice, all 50 states requires all Nurses to be licensed before they begin practice. Licensed Vocational Nurses (LNVs) are considered technicians, while Registered Nurses (RNs) are professionals. 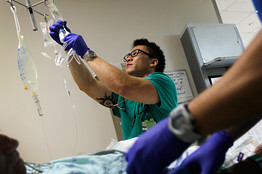 The LPN (Licensed Practical Nurse), which in some states is called LVN (Licensed Vocational Nurse), most often has earned a certificate in less than a year, and has a significantly different educational track than a Registered Nurse (RN), even when the RN has an ADN (Associate Degree Nursing). The RN utilizes critical thinking skills, and the responsibilities the RN has are more complex, and therefore always supervisory in nature over the LVN/LPN. Because of the complexities and advances in healthcare, and patient care, LVNs are NOT permitted by license to do the same things as a RN. Pay, of course, comes along for the ride, and RNs are paid more. Registered Nurses may begin practice by earning an Associate’s Degree Nursing (a two-year degree) typically at a Junior or Community College, or by earning a Bachelor of Science Nursing (BSN), a four-year degree most often earned from a University. Both the ADN & BSN must pass the NCLEX – the National Council Licensure Examination – before they can practice Registered Nursing. Advanced Practice Nurses (APNs) are BSN-prepared RNs whom have obtained additional education and training, typically a Master of Science Nursing (MSN) in a specialty area of Nursing practice such as Gerontology (specialized care for the elderly), Family Nurse Practitioner (FNP), Acute Care Nurse Practitioner (ACNP), Pediatric Nurse Practitioner (PNP), Certified Registered Nurse Anesthetist (CRNA), etc. Frequently, following earning their MSNs, APNs have also obtained National Certification in their area of specialty, and many have prescriptive authority, depending upon the laws of the state in which they practice. Because they have more education, more experience, and more responsibility, they are also paid more. APNs may also continue education and training to the doctoral and post-doctoral levels. While it was meant all in harmless fun, I sincerely doubt that the individual’s response – to commit suicide – was anything other than an inappropriate response to jesting in good-hearted intent. It is indeed tragic that the nurse committed suicide. Perhaps there were other underlying issues, or an inability to cope that predicated her distressing response. One simply cannot hold others responsible for everything. As tragic as this story is, one must accept responsibility for one’s own actions. LONDON — As pranks go, this one appeared outrageous and obnoxious rather than malicious: after convincing a hospital nurse who answered the phone this week that they were Queen Elizabeth and Prince Charles, two Australian radio hosts then tricked another nurse into disclosing medical information about the pregnant Duchess of Cambridge, who had been admitted with acute morning sickness. The call was broadcast on Australia radio; then it went out around the world. But the stunt took a horrific and unexpected turn on Friday, when the nurse who answered the call, 46-year-old Jacintha Saldanha, was found dead, an apparent suicide. The Metropolitan Police would not release details of the death, except to say that they had received a call reporting that there was an unconscious woman at Weymouth Street, in central London, and two ambulance crews had arrived to find Mrs. Saldanha already dead. A police spokesman said they were not treating the death as suspicious. It was unclear what exactly had happened since the prank itself to make Mrs. Saldanha, who was reportedly married and had two children, take her life. King Edward VII’s Hospital, where she worked, said it had not disciplined her, but rather had been “supporting her during this difficult time.” Nor, apparently, had the royal family raised a fuss with the hospital, an exclusive private institution that has long been the hospital of choice for Britain’s royals. One of the inevitable consequences of an aging population is the loss of their significant contribution and influence upon society from myriad perspectives. To account and plan for such inevitabilities is not simply wise, but rather, it is common sense and a hallmark of effective and competent management. Having been warned of the potential for crisis, we would be wise to double down on solutions. There have been lots of goodbye parties this year at the University of Virginia School of Nursing. So far, eleven professors have retired. That’s one-fourth of the faculty, and Dean Dorrie Fontaine is in no mood to celebrate. In the last year, more than 76,000 qualified applicants were turned away, in large part because nursing schools didn’t have enough professors. Polly Bednash heads the American Association of Colleges of Nursing. She explains that nurses comprise the oldest workforce in the nation, and many of them kept working during the recession. “They are going to leave in droves and are already leaving in some places where the economy is getting better,” she says. A long-term trend in medicine in the United States has been that medical school students continue to abandon Family Care and Rural Practice. The corollary trend among Advance Practice Nurses & Nurse Practitioners – many whom must also pass National Board Certifications in their area of practice – has been to fill the void formed in the delivery of healthcare by physician abandonment. Typically, the argument given for such abandonment is pecuniary. That is, by the time the medical student graduates from medical school & residency to assume full and independent practice, their debt load is not merely burdensome or impractical, but almost wholly impossible to repay. More recently, however, medical schools and public health authorities have acknowledged the error of allowing that deterioration and abandonment to occur, and have begun to promote Primary & Family Care among medical schools and their students. Such strategies include not merely the promotion of community and the advantages of rural independent practice, but include full-ride scholarships while in medical school. One category of expert nurses this survey omitted – perhaps purposely – was Certified Registered Nurse Anesthetists. As a group, they have consistently earned six-figure salaries, typically upwards of $125,000/year. Among Advanced Practice Nurses, CRNAs have continually earned significantly more than the average APN. In fact, according to a salary survey report performed in 2005 by LocumTenens.com, CRNA respondents reported income ranging from $90,000-$250,000, with 63% reported earning between $110,000-$170,000/year. The average salaries reported were: 2008-$163,467 / 2009-$169,043 / 2010-$166,833. And, in 2011, the average reported salary for CRNAs in that survey was $168,998. Research published by the American Association of Nurse Anesthetists in AANA Journal, April 2008, indicated that the median range for CRNA faculty – academic and clinical – earned between $120,000 and $140,000. So, as you read the following items, please bear that in mind. In the Occupational Outlook Handbook published by the Bureau of Labor Statistics, the overall average salary for Registered Nurses in 2010 was $64,690 per year, or $31.10 per hour. The job outlook (forecast) for 2010-2020 is that need is expected to grow 26% (Faster than average). According to the BLS, there were 2,737,400 Registered Nurses in 2010. Jennifer Garcia is a freelance writer for Medscape. Disclosure: Jennifer Garcia has disclosed no relevant financial relationships. May 11, 2012 — Nurse practitioners are the top earners among nurses, according to the Physicians Practice 2012 Staff Salary Survey . The survey reports salary averages from 1268 respondents, including nurse practitioners, registered nurses, and nurse managers. Salary information from other staff members such as physician assistants, medical records clerks, medical assistants, front desk staff, billing managers, and medical billers was also included in the survey. 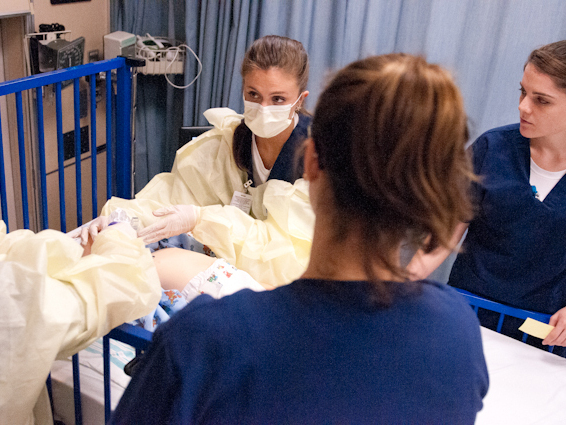 Where the Jobs Are: Is the Nursing Job Market a mixed bag? Eminent nursing researcher & scholar Dr. Peter Buerhaus, PhD, RN, FAAN has made a career studying Nurses, and suggests that the jobs picture for new nurse grads is good, and that they may be facing one of the best job markets in decades. Here’s something very interesting, however. Have you ever wanted to read someone’s email, letters, text messages or eavesdrop on telephone calls or conversations? If you’re honest, there has to be at least one time in your life in which the above has been true for you. However, as we mature, we realize that eavesdropping is nothing more than an effort to control, and that in many cases, we have little or no control over many – if not most – events and people in our lives. Certainly, we have no control over others’ thoughts or actions. Eavesdropping on communication is and remains a hallmark of international espionage, and constitutes the basis and bulk of many international relationships. Eavesdropping on communications is not done among friends. It only accompanies enemies. Acknowledging that fact is but one reason why love is so good. It is mutually reciprocated and wholly voluntary. Relationships of all type in life – business and personal – are made better by voluntary cooperation and the mutual respect and honesty that naturally accompanies it. Unfortunately however, not all are so empowered by love. And unfortunately, that spills over into other areas of their lives – most notably even in business. For example, how can one perform at maximal efficiency and capacity if their personal life is in disarray or turmoil? For the healthy person, it’s not possible. Recently, a dear friend of mine lost a job. We became friends during our tenure with each other as professional colleagues. After it had occurred to me that things probably weren’t as they seemed, I wrote a letter as a source of encouragement. It is my hope that this note may be a source of encouragement for you dear reader, as well. How would you like to be an Registered Nurse based out of London, work aboard a Private Yacht traveling the Mediterranean earning a tax-free salary, paid housing, health insurance and flight? If you’re a female – sorry guys – here’s your chance! Salary, based upon current rate of exchange, is $57, 283/year with a one year contract. Registered Nurses to provide Patient Care during a possible labor dispute in Rhode Island, which is also a participating state in the Nurse Licensure Compact. For the first time in many years, new Registered Nurse graduates face a contracted job market, and may face tough employment prospects, adding to an already dismal national economic portrait. Researchers such as Vanderbilt University’s Dr. Peter Buerhaus, PhD, RN, FAAN, the U.S. Bureau of Labor Statistics (BLS) and others have warned about the impending Nursing shortage. However, because of the poor overall economic conditions of the United States, many experienced RNs have foregone retirement, and or have come out of semi-retirement or translated part-time and PRN jobs into full-time status and have therefore made many hospitals flush with Nurses. Previously, many experienced Nurses would have taken PRN (Latin for “pro re nata,” meaning “as needed”) or part-time positions, working anywhere from one shift every two weeks, 12 hours weekly, or in some cases no more than 24 hours weekly at most. Most Nurses are hospital-based employees, and work 12-hour shifts, and a typical full-time work week for Nurses is three, 12-hour shifts in a 7-day (one week) period. Nursing has been, and continues to be a predominately female-populated profession, so the indicator of hospitals flush with Nurses is indeed a fascinating observation on at least two accounts. It speaks volumes about dire national economic conditions because women have found themselves in the unenviable position of having to work, and in many cases being their family’s primary breadwinner. He noted further that while RNs’ employment prospects continue to be… To read more, click here. Are you a RN with 5ive solid years of Critical Care experience? Do you have a Tennessee or multi-state/compact state license? Having received information about this job, and others with the same hospital system, and having spoken with the recruiter, I wanted to share this opportunity with others. These jobs REQUIRE A THREE YEAR CONTRACT. Salary in Bermuda is TAX FREE, and the American Dollar and British Pound Sterling are used interchangeably. Department: CRITICAL CARE P. AD. “Why do you want to work for Huntsville Hospital?” A Lesson in (dis)honesty. Honesty… is it ALWAYS the best policy? Recently, I’ve found that some search engine terms which have led to this blog include this question “Why do you want to work at Huntsville Hospital“? In Huntsville, Alabama – where I resided for many years – there are ONLY TWO hospitals in town. One, Huntsville Hospital, is a public not-for-profit, and the other, a much smaller Crestwood Medical Center, is a private, for-profit hospital. Many of the professors and instructors at the Nursing School from which I graduated have privately expressed their frustrations to their students, and to me, about Huntsville Hospital’s virtual monopoly on the hospital-based healthcare delivery in Huntsville, AL. Good News! 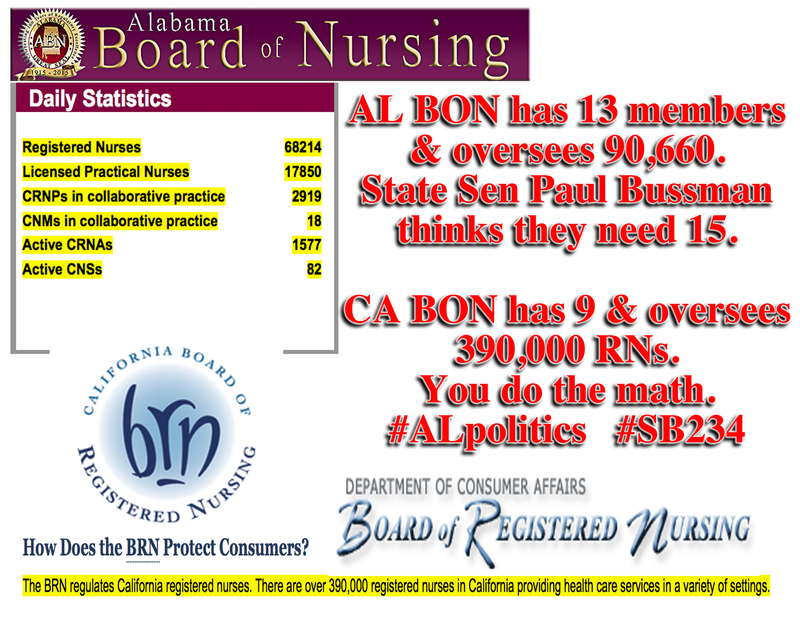 California’s Nurse:Patient Ratio Law Saves Lives! California and her residents, often maligned within and without, on occasion do come up with some good ideas. Here’s one of the better ones. …Continue…you REALLY DO want to read this!